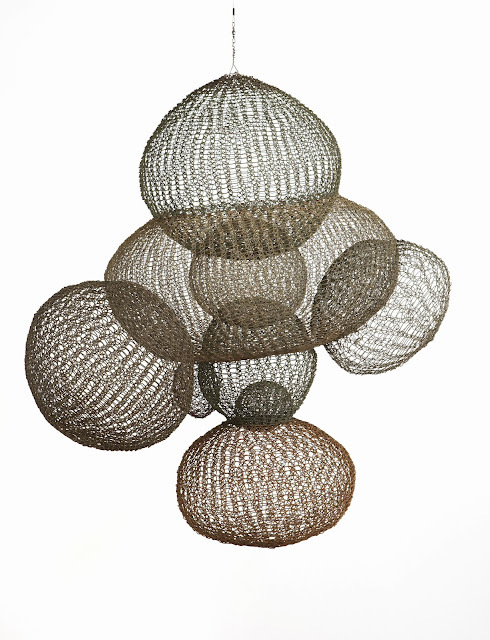 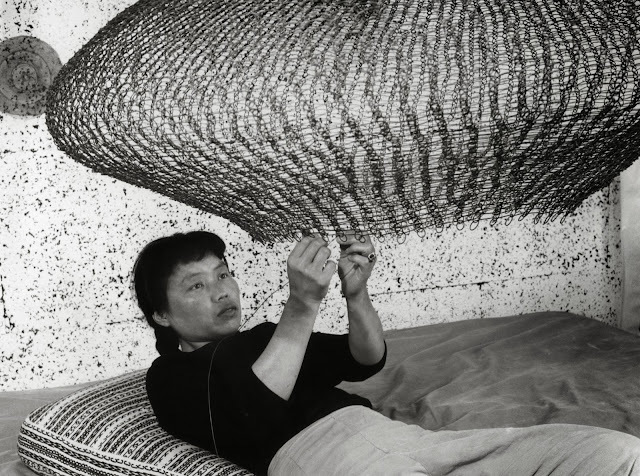 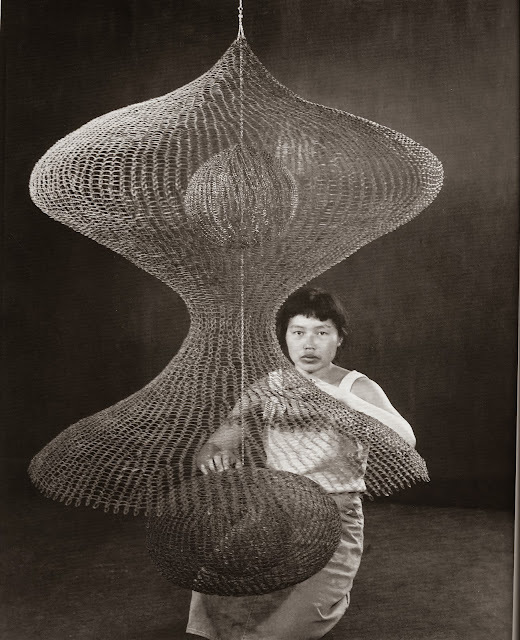 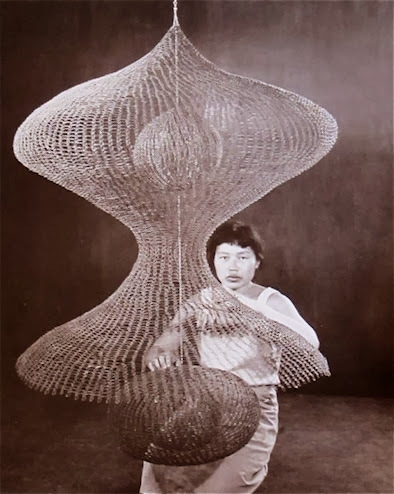 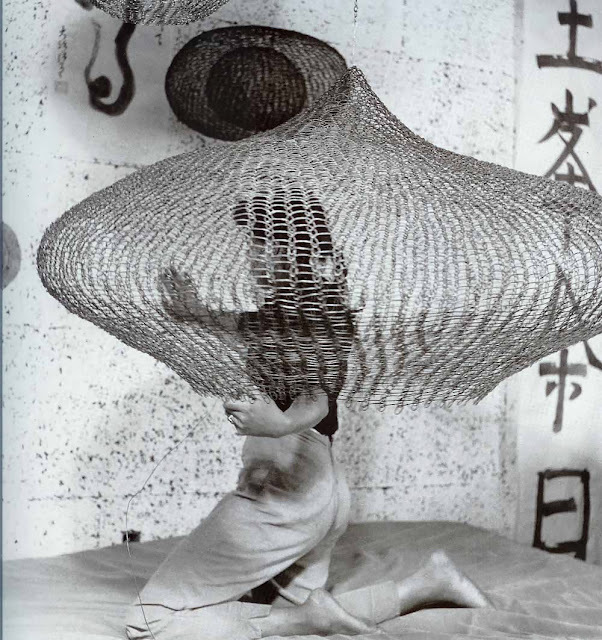 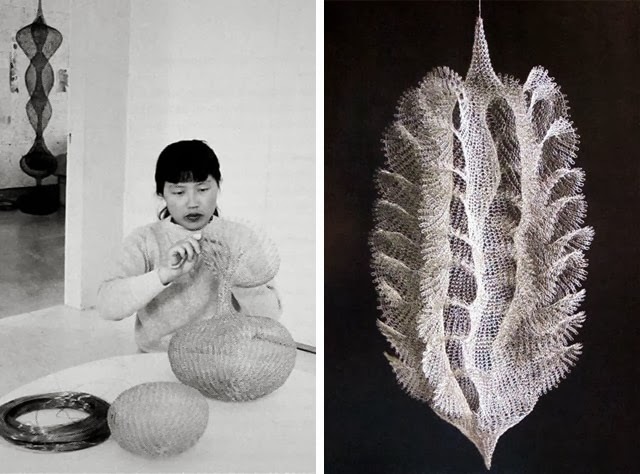 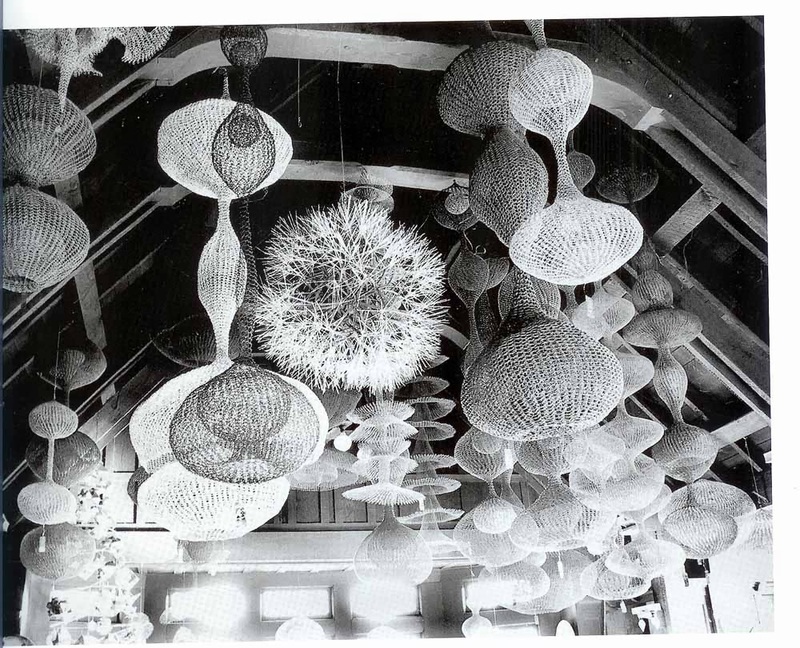 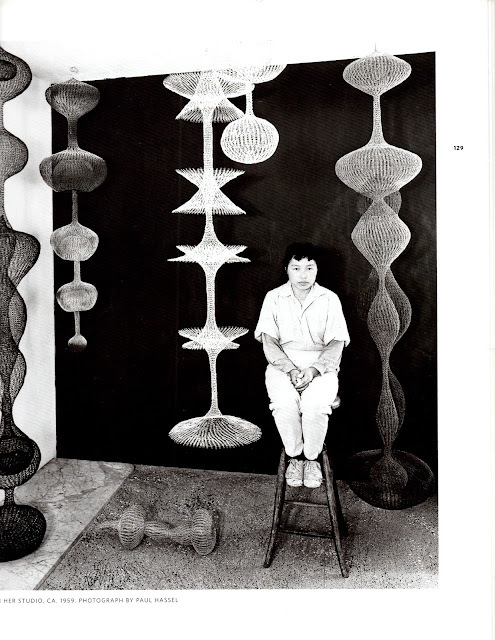 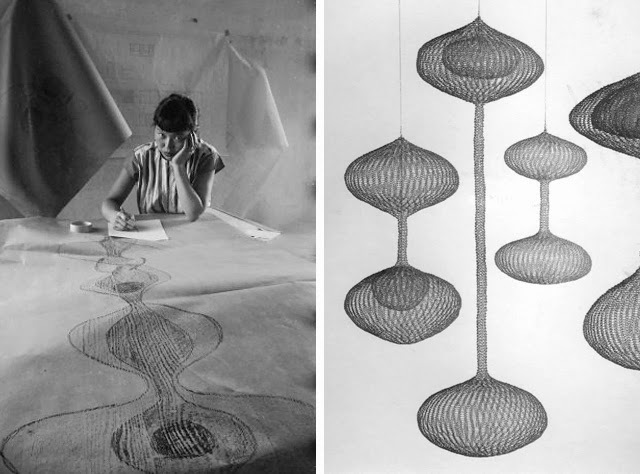 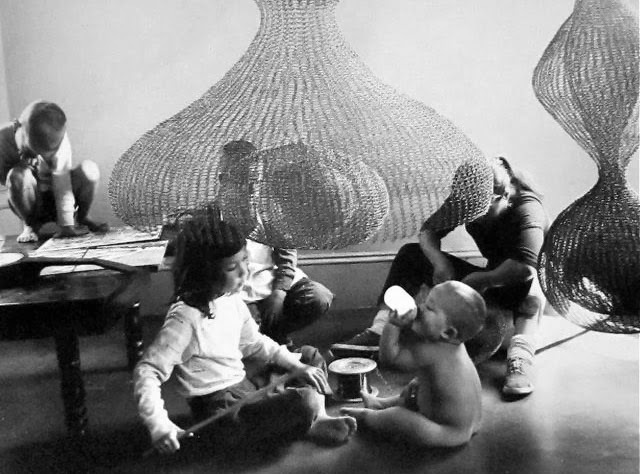 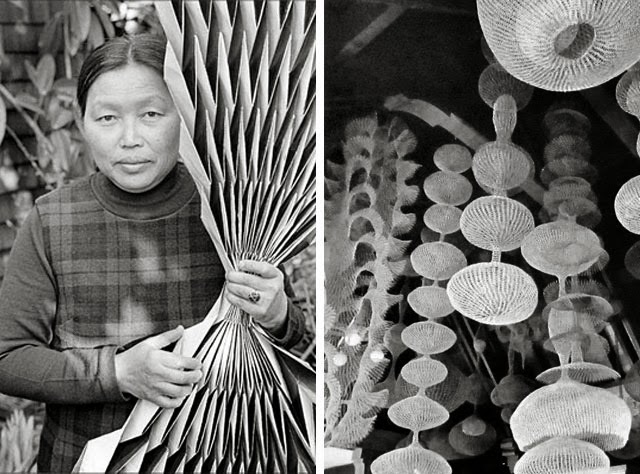 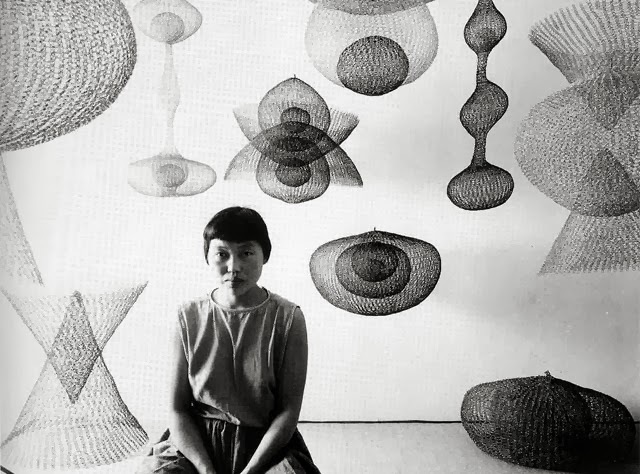 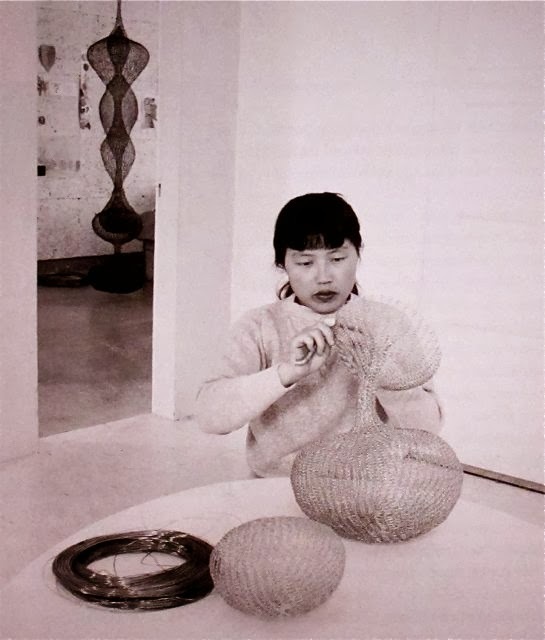 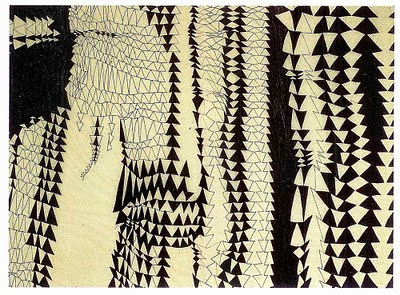 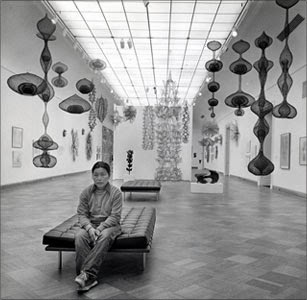 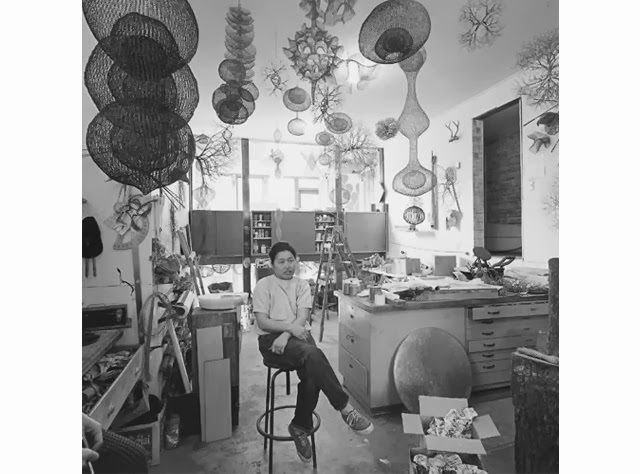 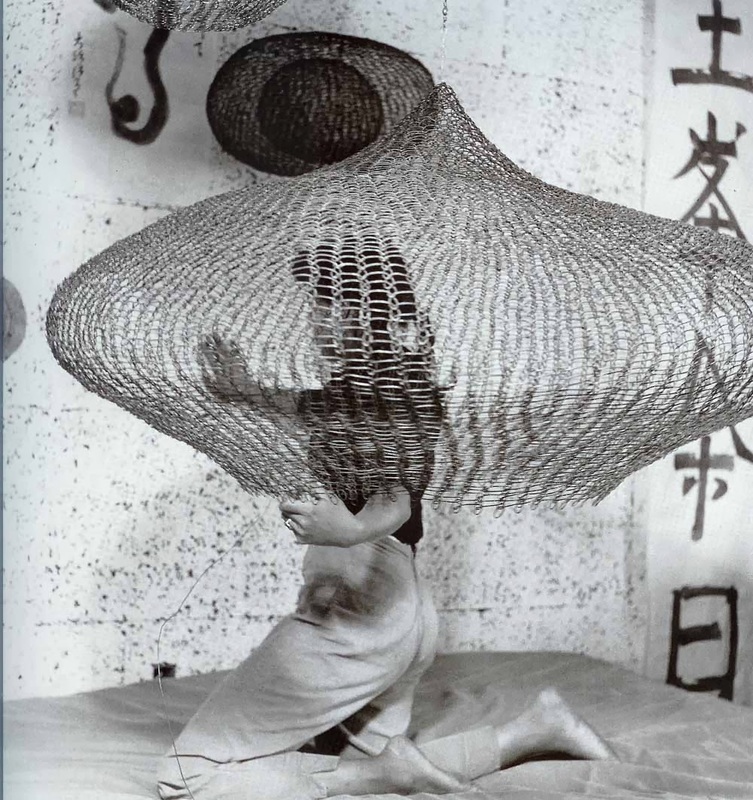 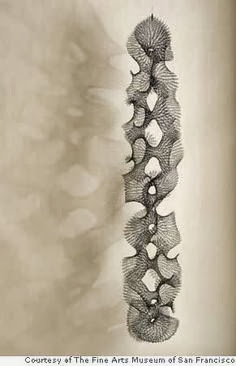 Ruth Asawa was born in 1926 in Norwalk, California and lived in San Francisco. 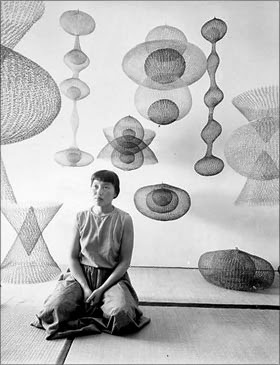 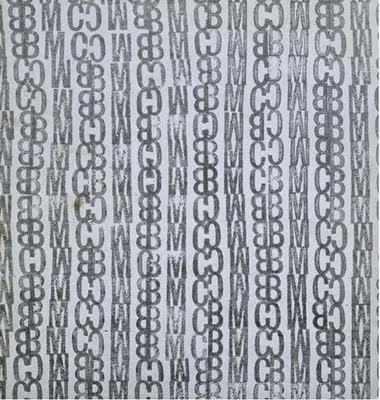 Following her internment in Arkansas during WWII, Ms. Asawa attended Black Mountain College where she studied with Josef Albers and buckminster Fuller from 1946-49. 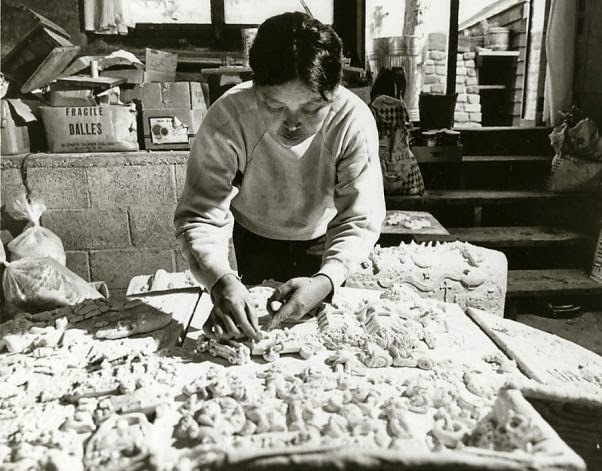 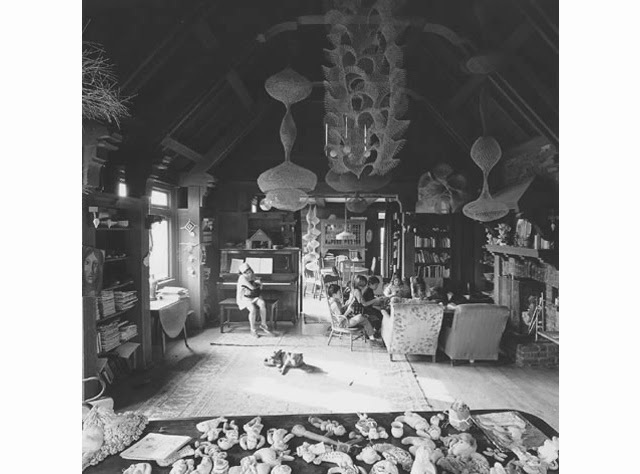 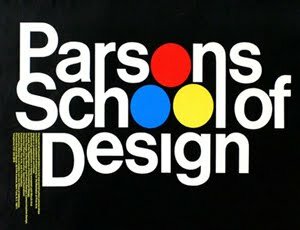 As well as being a practicing artist, Asawa was instrumental in developing art education in San Francisco and the establishment of the School of the Arts in San Francisco. 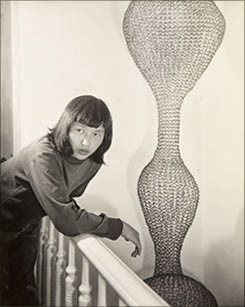 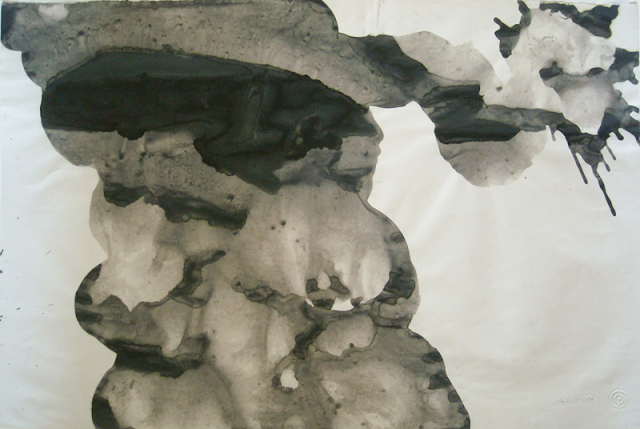 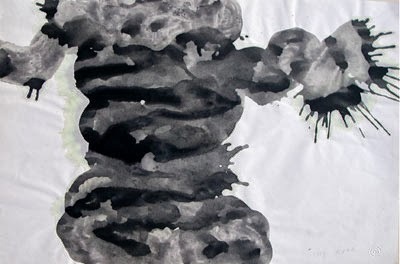 Her work is included in important private and public collections nationally and in 2006, she received recognition in the form of a major retrospective at San Francisco's De Young Museum in Golden Gate Park as part of their inaugural celebration (which traveled to the Japanese American National Museum, Los Angeles). 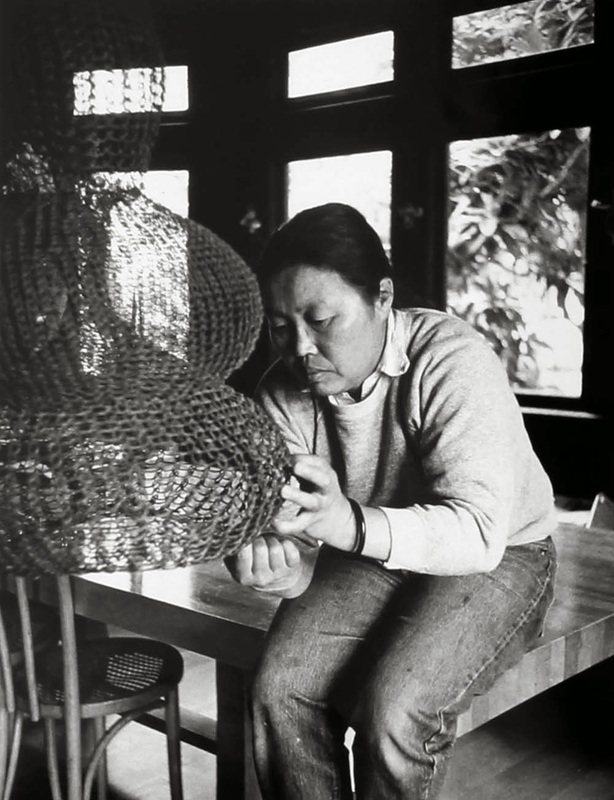 Asawa's wire sculptures transform inert materials into dynamic physical constructs, co-opting paper, wire, clay, concrete, fiber, steel, and bronze to express her extraordinary vision. 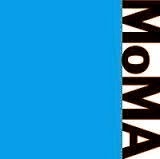 For over forty years, she pushed her materials in directions that challenged not only their physical attributes but also their traditional dimensional placement on pedestal, wall, and floor - ultimately hanging or suspending the works to activate the spaces surrounding them.